Different from Mayflies and Sedges the Stoneflies do not hatch at the water surface, but always on shore. Furthermore, there is no mass hatch. Therefore, the Stoneflies are less important for fly fishermen than Mayflies and Caddies flies. Nevertheless, fished at the right size, they can lead to reliable results. 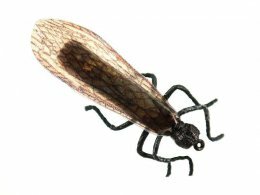 Big Stimulator fly pattern imitate large Stoneflies and Grasshoppers, while little Stimulator flies imitate very good Caddies flies and little Stoneflies. The advantage of the Stimulator flies is they are excellent search patterns, which means that you can catch also major fish with them, if there is not observed any active rise. If you fish with the Stimulator fly you can fish "careless", which means that sometimes it is not necessary you present the fly gently, but it is ok it really slaps the water. Also, the slipping on the water surface is an advantage. Even if you reel in the Stimulator fly under the water surface, like a streamer, it is often able to catch fish. The best time for the Stimulator fly patterns is the summer.